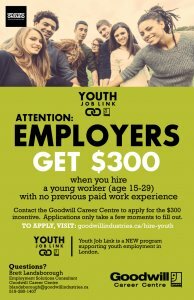 Employers can partner with the Goodwill Career Centre to access hiring incentives offered by Employment Ontario’s Youth Job Link and Youth Job Connection programs. Have you recently hired or are you about to hire someone aged 15-29 who has no previous work experience? You are eligible for a $300 hiring incentive. The employer must be a registered business in Ontario and is required to fill out two forms in order to receive the incentive. The forms are quick to fill out, and only take a few minutes. 1. Download the Employer form and the Participant form. 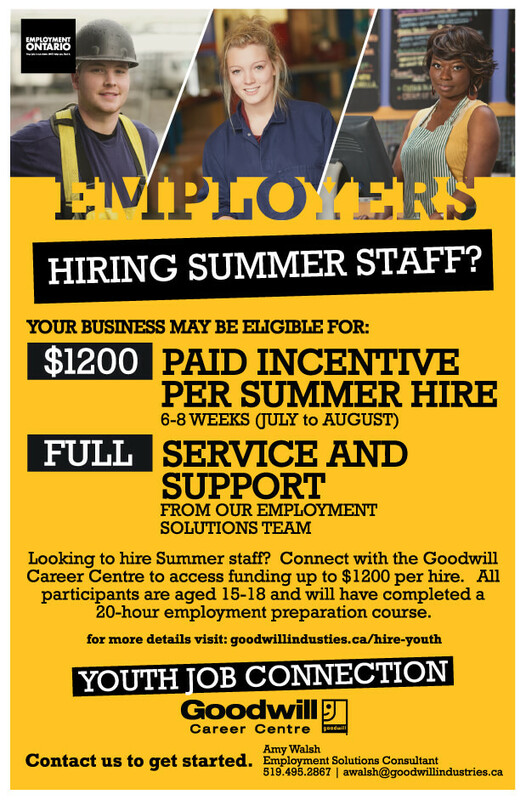 Are you looking to hire Summer staff? 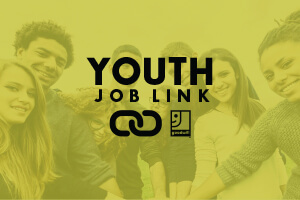 Earn up to $1200 by hiring Youth Job Connection program participants for 6-8 weeks during the Summer.All participants are enrolled in the Goodwill Career Centre’s Youth Job Connection Summer program. They are 15 to 18 years of age, and will have completed a 20-hour employment preparation course. The employer must be a registered business in Ontario and have workplace safety insurance such as WSIB. 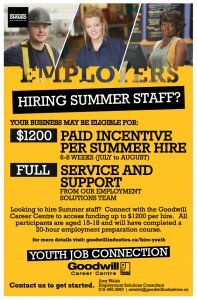 Also, employers are required to attend a Hiring Day Job Fair (in early July) to meet and select program participants for your Summer placement hire.